Royal Caribbean's Splendour of the seas experience a fire in one of its engine rooms early this morning, but luckily the incident was contained with minor injuries and no apparent damage to the ship. Royal Caribbean announced the fire was contained and extinguished, with all systems functioning. #SplendourOfTheSeas experienced a fire this morning in 1 of its engine rooms.Fire was contained & extinguished, all systems are functioning. In addition, there were no reported injuries to guests or crew. Splendour of the Seas is in the Mediterranean and is sailing to Argostoli with all systems functioning normally. UPDATE 9:21am: Royal Caribbean has decided to skip its scheduled stop at Argostoli and proceed to its next scheduled stop of Venice. In addition, 1 guest and 19 crew members were treated for smoke inhalation and released. 1 crew member is still being treated. 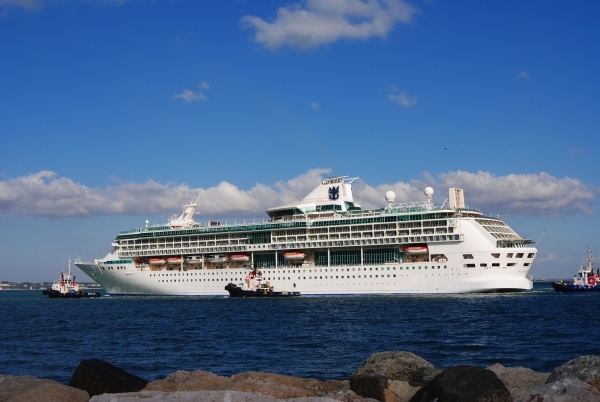 #SplendouroftheSeas update: All systems functional 1 guest, 19 crew treated for smoke inhalation and released. 1 crew still being treated. UPDATE 12:56pm: Royal Caribbean has issued a statement regarding the fire. On October 22, 2015, as Splendour of the Seas was at sea in route to Argostoli, Greece, the ship experienced a fire in one of its two engine rooms. The ship’s fire suppression system was activated, which contained and extinguished the fire. However, in an abundance of caution, it was deemed necessary to evacuate some guests from their stateroom. The ship is currently sailing towards Venice, Italy, and all systems are functioning. Splendour of the Seas is currently on a seven-night sailing that departed Venice, Italy, on Saturday, October 17, and includes port calls to Kotor, Montenegro; Corfu, Greece; Athens, Greece; Mykonos, Greece and Argostoli, Greece.